NFL season is almost upon us. It is only a few weeks until the games began, and we wanted to kick it off just right with a look at the best NFL Super Bowls. Some of us chose a top 3, others chose a top 5, but regardless, this is all an opportunity for us to look back on great NFL Super Bowl games. Let's get into it. I simplified my list to include a top 3. Narrow it down. Let's go. -This game itself is Top 3 alone, however one bad decision by Coach Carroll would overshadow the game itself. The Seahawks were defending Champions and had a chance to repeat by beating New England. The Seahawks had a really good defense and was known to have a very scary secondary known as the Legion Of Boom. If there's something about the Patriots that we should know, it's that when it comes to Super Bowls, never doubt or question Bill Belicheck or Tom Brady. In the second half, the Seahawks would show why they're the defending champs, but late in the game, a huge mistake would cost them. Trailing late in the game on the 2 yard line the Seahawks would call for a slant pass to Ricardo Lockette. 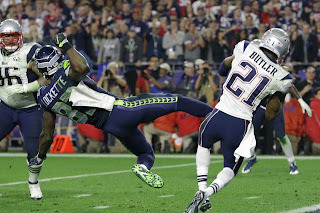 However, Malcolm Butler would jump the route and pick off Russell Wilson to secure the Patriots win. This was one of those "How could you not give the ball to Marshawn Lynch" questions that will haunt Pete Carroll forever. Lynch could not be stopped all game and going away from him, that close to the end of the game was the biggest head scratcher of all time! -This game is best known for the Giants dethroning the undefeated New England Patriots. The Patriots were favored to win this game and be the 2nd team ever to run the table in the NFL. One thing that nobody ever mentions is that the Giants played the Patriots in Week 17 and gave them a pretty good game, so the Giants had some advantage of preparing for a stacked New England team. 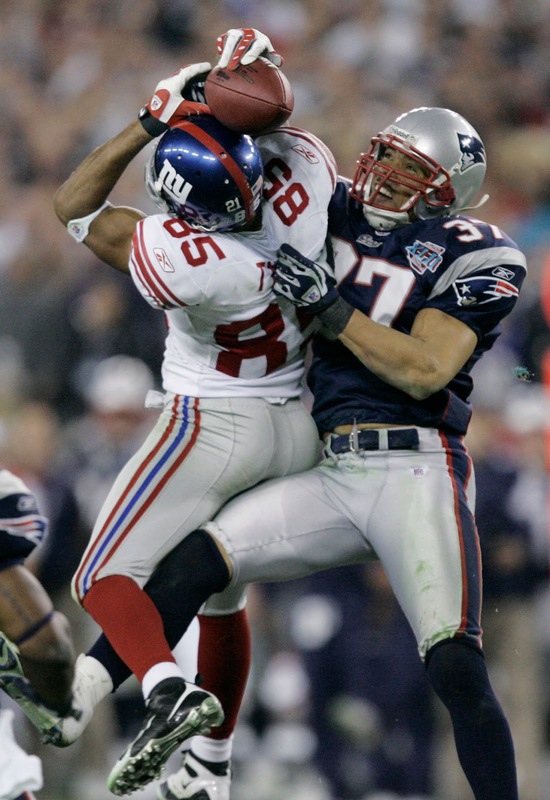 One signature moment of this game is when David Tyree made an outstanding catch by keeping control of the ball pinned to his helmet by Rodney Harrison, who was also draped all over him, to keep the drive. Giants would score late in this game to the lead and win the Super Bowl. 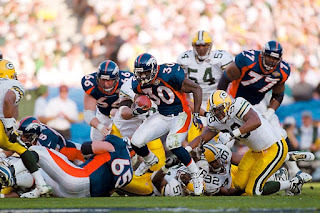 -There have been some great Super Bowls played over the years, but out of all of them, the one that stands out the most was Super Bowl 34. Super Bowl 34 featured the then St. Louis Rams (Still can’t believe I’m saying that), who were nicknamed the Greatest Show on Turf for having the most explosive offense in the NFL during the 99-00 season against a Tennessee Titans team that was led by the late Steve McNair, Eddie George, and Defensive End Jevon Kearse. 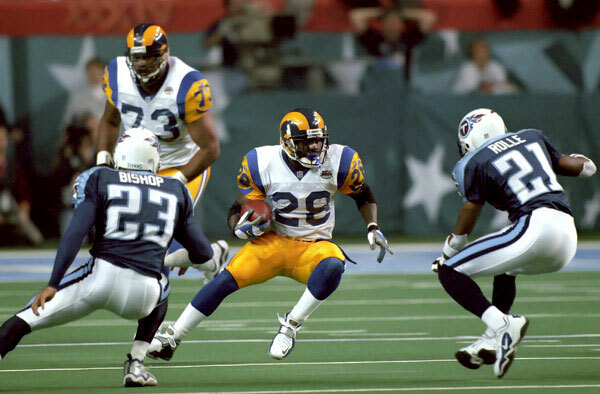 This game to me is the greatest Super Bowl because of the Titans rally to tie the game, Isaac Bruce's 73 Touchdown reception late in the game, and Dyson coming a half yard from sending the Super Bowl into OT. This game itself doesn’t get viewed a lot outside of the two fanbases, but this one gave us some thrilling and memorable moments that will forever live on in Super Bowl and NFL history. 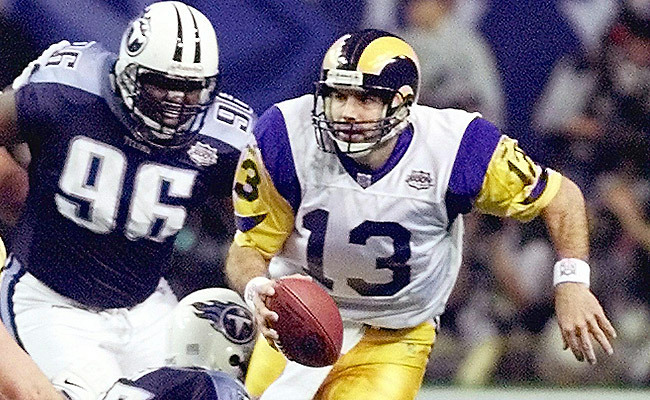 Had that game gone into overtime, the Titans might have came away with their first Super Bowl in franchise history and not the Rams. We also would’ve viewed one of the Best offenses of all time a little differently because they would’ve lost two straight Super Bowls. Remember the Rams would lose to the Patriots the next season. This Super Bowl would’ve altered some legacies which is why it’s also so great to me. I went with a top 5. It's so many great Super Bowls to discuss and I wanted to have a full list. Here we go. -A very exciting super bowl for all football fans, as it was neck and neck all game long. Cardinals took a 23-20 lead late in the 4th quarter with a touchdown by Larry Fitzgerald, only to have a comeback by Big Ben and one of the greatest Super Bowl catches of all time happen, with the amazing corner in the endzone catch by Santonio Holmes. -One. Yard. Away. 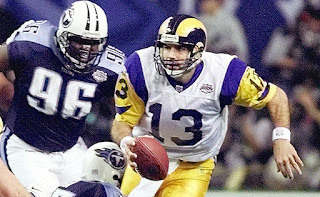 McNair was a beast in the 4th quarter, doing his best to bring Tennessee a Super Bowl, but the Rams defense did just enough and stopped them one yard short of a touchdown to win the Super Bowl. -Hands down one of the greatest, most exciting Super Bowls I've ever seen. Yes, it was neck and neck and hard battling all game, but one play sealed the game and made it one of the greatest to ever be played. Yes. That's right. The Malcolm Butler interception in the endzone late in the 4th quarter to seal the game for the Patriots to win their 4th Super Bowl. Should've ran the football, Pete Carroll. -The entire DAR staff clearly wasn't alive for this Super Bowl. But we still can't deny the greatness of it, as it is by far the most important Super Bowl in NFL history, otherwise the NFL wouldn't be the NFL today. 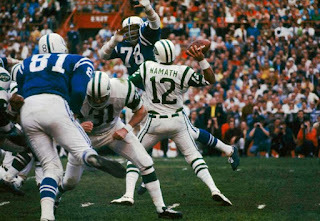 Joe Namath made himself a legend with his play in the Super Bowl, guaranteeing a win for Jets fans, and they did. Truly amazing. -GREATEST SUPER BOWL OF ALL TIME. The biggest upset in sports history. I mean seriously, what can get better than stopping the greatest team, the greatest offense, one of the greatest quarterbacks to ever play, and the greatest wide receiver ever, in the Super Bowl? AND limit them to 14 points? By far my favorite as a Giants fan and football fan. This is the greatest Super Bowl of all time. -I can only speak on the Super Bowls I watched and witnessed, which is literally half of the Super Bowls that have occurred. With that being said, let's get into my list. -Elway. Favre. Two of my favorite QBs at the time, and my favorite team in the Super Bowl. I was truly excited to witness it and I was fully behind my Broncos and Elway helped to pull it off. One infamous moment was "The Helicopter", where Elway got banged up pretty badly, but the Broncos held on to win this battle. 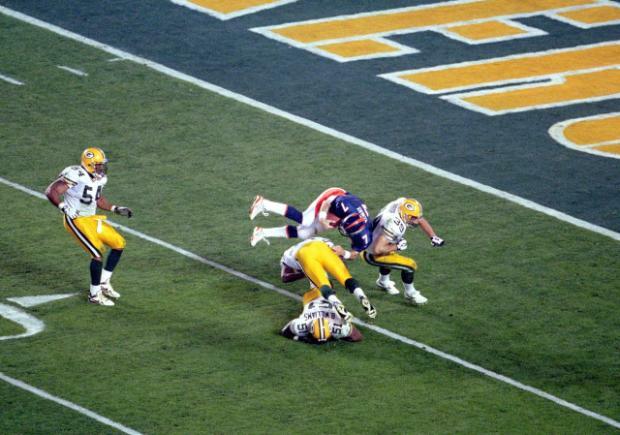 To me, this is certainly one of the best and still underrated Super Bowls. 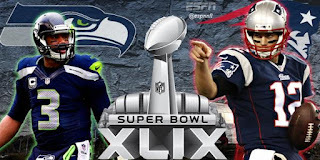 -I watched this Super Bowl via YouTube sometime ago and it is really an exciting game. 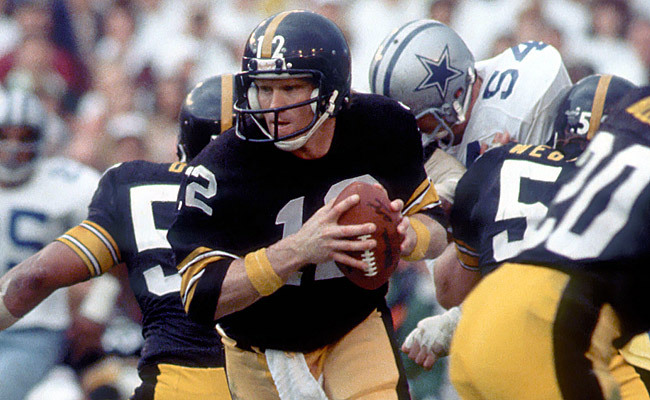 The Steelers vs Cowboys rivalry was truly something special years ago and this game is a prime example of why it's one of the most revered rivalries in NFL history. -This is a prime example of the underdog taking down the big dog in the yard. The Patriots were making history. They were supposed to win this Super Bowl. The Giants had other plans. Another classic that saw the unexpected winner rise. -If there was ever a Super Bowl that kept me on the edge of my seat, this was the one. As the clock began to wind down, I saw the Seahawks get into position to score and instantly thought that Beast Mode would get the winning touchdown on a smooth hand off. I mean, why wouldn't you give it to your superstar RB who can easily get in the endzone? Why wouldn't you do that? The Seahawks essentially forfeited the game on a stupid pass that was intercepted by Malcolm Butler as the Patriots got lucky and held on to win the game. It just made no sense that the Seahawks didn't run the ball, and a lot of people felt like it was purposely done so that Russell Wilson could get the accolades of the win instead of Beast Mode. If that was the case and the plan, then the Seahawks got what they deserved. -This wasn't an easy choice for my no. 1, but once again, this is an opinion based list. 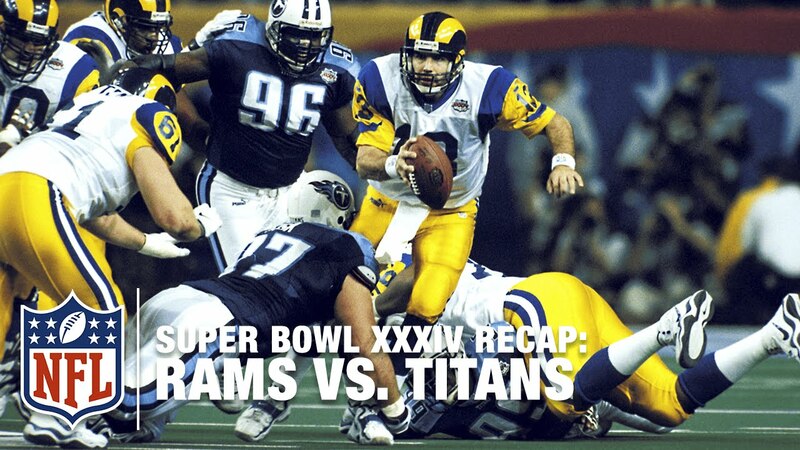 I remember watching this Super Bowl live and loved every minute of it. The Titans were down by 7 and had an amazing drive that was stopped short at the last second on the 1 yard line. This is what football is all about and what the Super Bowl should be. As the NFL season gets closer, we need to appreciate the great seasons and the great Super Bowls we have witnessed over the years. NFL Sundays on DAR are back.